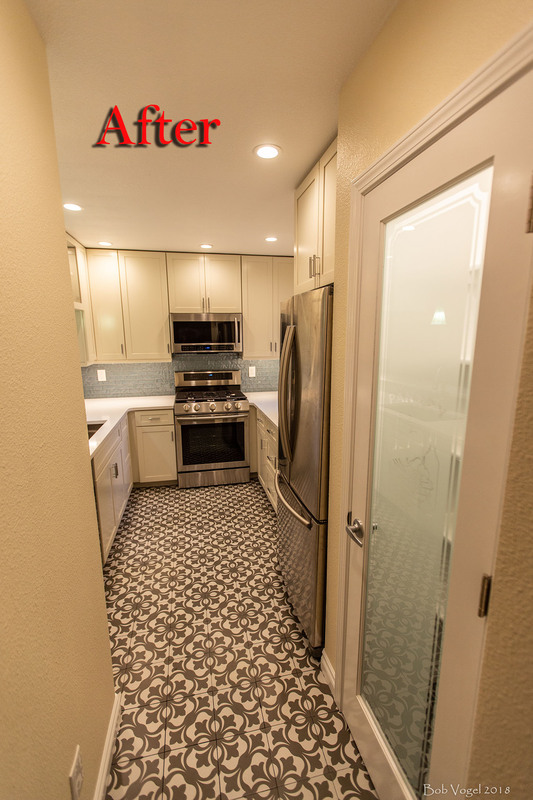 This kitchen renovation project was challenging but just the kind of remodeling project I enjoy the most. The change between old and new is stunning and my clients are excellent, so worthy of my best effort. 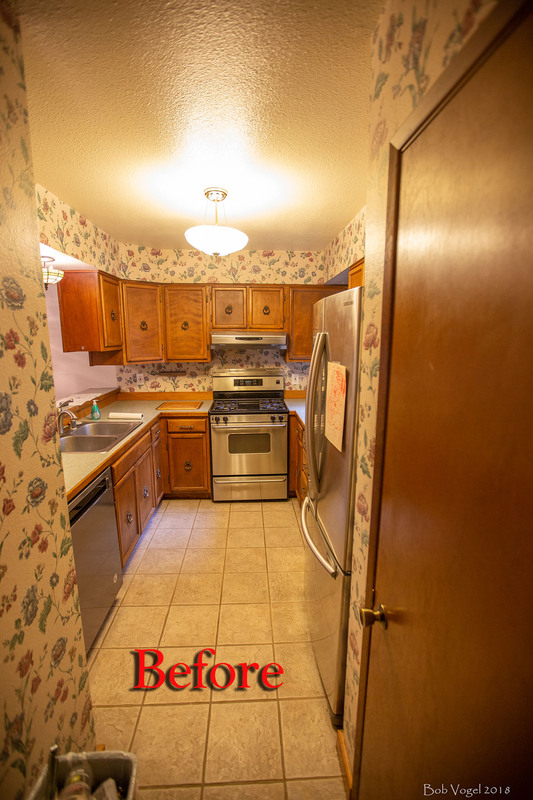 I'd renovated the kitchen in their previous home around twenty years ago through my remodeling contractor service here in Anchorage and they've since retired, sold that house, and bought a condo that needed work to upgrade it to where they want it. Call backs are fairly rare for me, but this was one that made me smile. 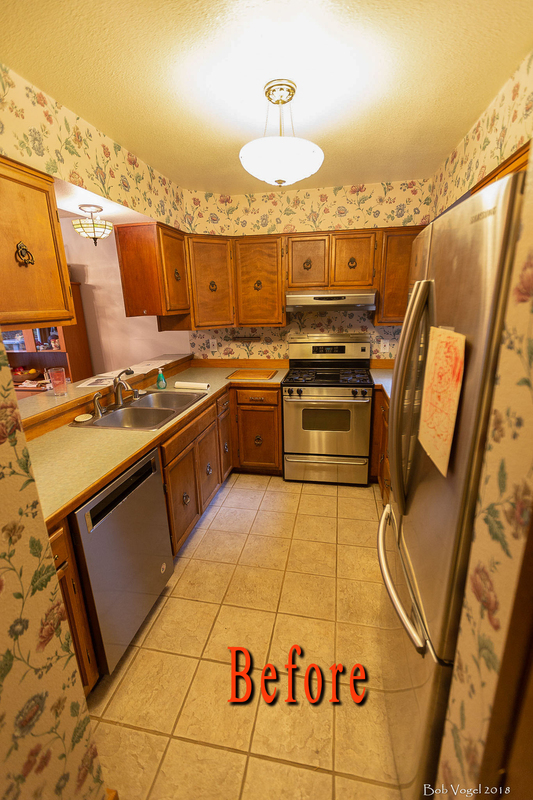 This kitchen project turned out a 100 percent improvement on what was originally installed. 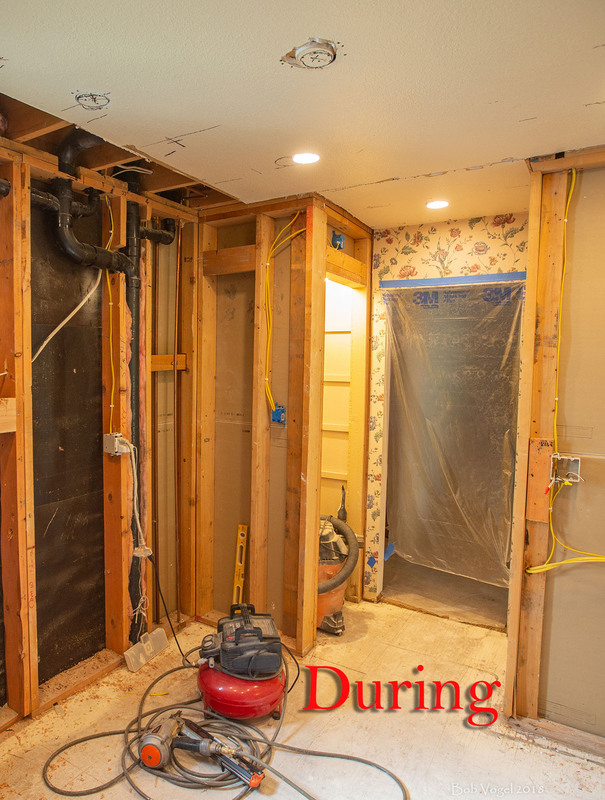 First step was to completely demo the soffits so 42” wall cabinets could be installed all the way to the ceiling. And, since it was dark as so many kitchens are, built in the 1970s and early '80s, it’s now bright with light where it's needed, when it's needed. 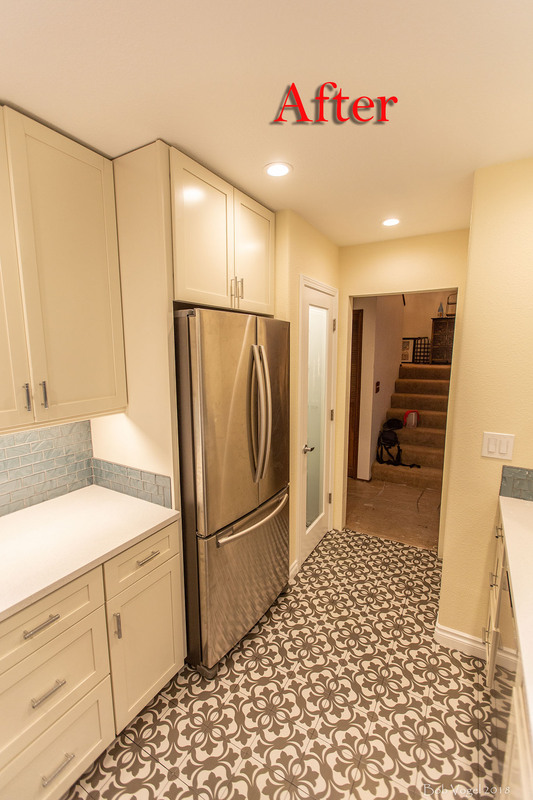 Light is provided with 4” recessed canister LEDs illuminating from the ceiling all around the perimeter, and task lighting by under-the-cabinet LEDs, all on dimmer switches. I also installed a switched LED light inside the pantry closet, illulminating what was once a dark storage space. 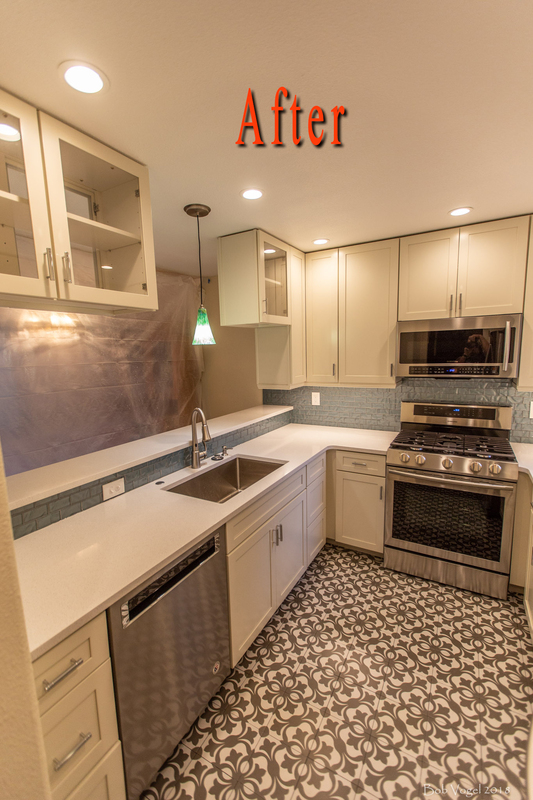 Updated and modernized with new tile, cabinets, solid surface counter tops, glass access doors, and lighting, this kitchen will give my clients many, many years of enjoyment. 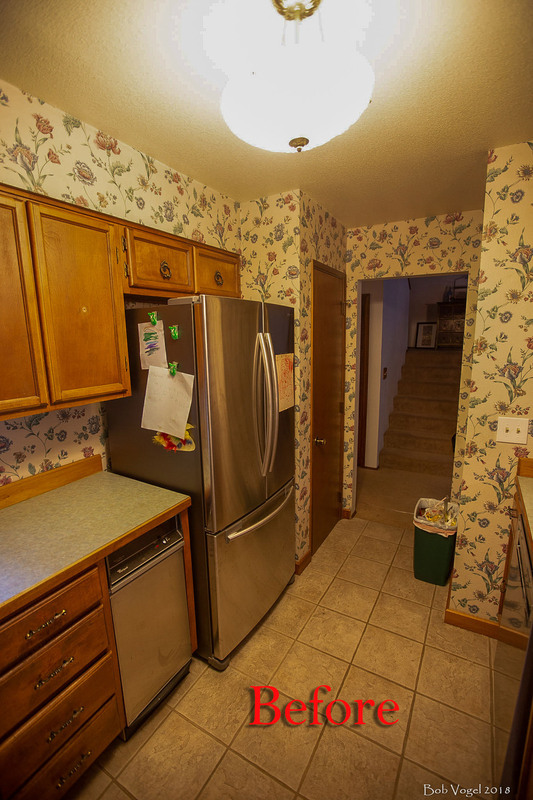 Bob remodeled our kitchen in 2000 and when we recently downsized, we had him remodel our “new” kitchen as well . We also have had him do various other smaller jobs over the years and have always been impressed by the quality of the work he does. He is great to work with and I can confidently recommend him to anyone! Every job is the most important job and it shows. 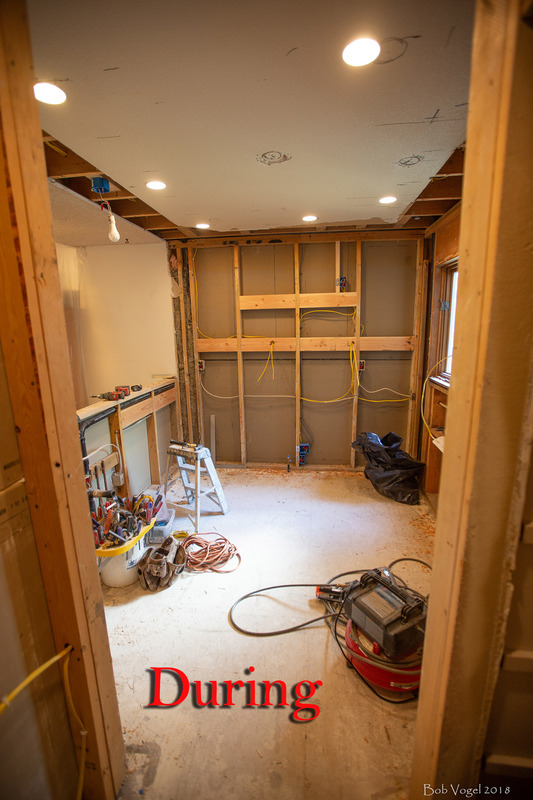 If you need a professional remodeling contractor for your Anchorage kitchen renovation project, please call 907-337-7439 or complete my online request form. 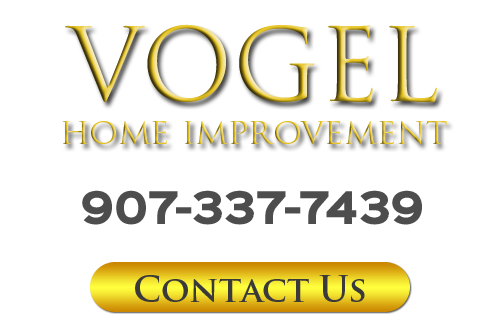 Bob is a fantastic craftsman and highly professional contractor. Over the years he has completed a number of projects for us that were simply superb. He never takes shortcuts, and his finish work is always to exacting standards. Our front deck design and expansion are a prime example of his outstanding work. I highly recommend him for any project - large or small.